Isn’t it just a bit ironic that phone calls became a secondary function of cell phones compared to its additional features such as text messaging? Now with the advent of smartphones, the options are literally endless, as Apple (News - Alert) boasts almost one million (700,000) apps available for instant use at its renowned app store – not to mention all of its other advanced features and functionalities. New research is showing, however, that text messaging – undoubtedly one of every user’s favorite features – is on the decline. For the first time ever, the number of text messages sent in the United States has dropped, or at least according to a report published this week by Chetan Sharma (News - Alert), an independent mobile analyst and consultant. Although the decline is far from drastic, the 3 percent (or 678 texts per month) drop still points to some significant trends to come – one of which wholesale VoIP provider VoIP Innovations (News - Alert) is confident in making. Of course, only time will tell if this in fact will become a significant trend in the wholesale VoIP landscape. 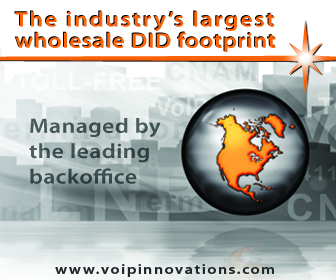 To learn more about VoIP Innovations esteemed offerings, visit www.voipinnovations.com. *Allison Boccamazzo is a Web Editor for TMCnet. A 2012 graduate of Assumption College, she holds a bachelor’s degree in Writing and Mass Communications. Allison previously worked as a freelance writer for Atlanta-based Blush Magazine, where her areas of reporting included health, beauty, travel and nutrition. Allison completed a successful internship with HGTV Magazine through Hearst Corporation as head editorial intern and also remotely served as an editorial intern for Folio Literary Management based in New York City.